Utility company, EnBW has placed an order for 117 rapid chargers which will deployed along major motorway routes in Germany by the end of the year. EnBW will have almost 200 rapid chargers in place by the end of the year. 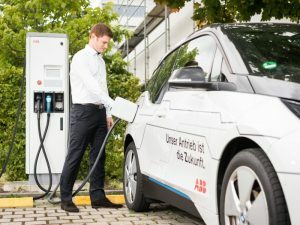 The 50kW units are being supplied by ABB, and will be installed at Tank & Rast service stations along the major motorway network, offering half-hour top-ups to around 80% capacity for compatible electric vehicles. All units are cloud-connected, and offer cashless payments with no subscription for customers. The most common rapid charging standards; Type 2 AC, Chademo and Combined Charging System (CCS) are supported. This latest order adds to EnBW’s 402-strong charging point network and almost triples the rapid charger coverage from the 68 already installed, spread between Kiefersfelden on the Austrian border, and Hamburg in the north.